During uradashi operation, the edge is easy to break. The biggest reason for this is a pointed small hammer because a small hammer has to be used with some power. The edge is very delicate. 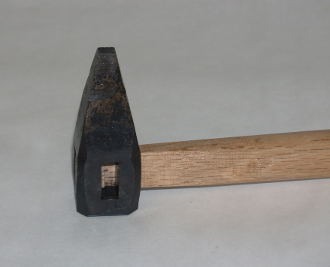 In Japan, many carpenters use the hitter. When they want to do it by hand, they use uradashi hammer. The length is about 3-1/2″ and it is heavy. 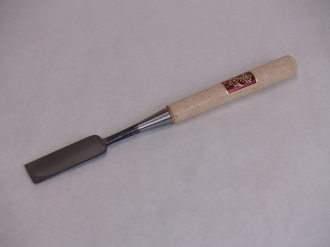 Then, it can be used only with its weight and the risk of edge breakage is smaller than the case of a small hammer. One of the four corners on the top is used for uradashi, and when the corner is worn out, other corner is used. For this reason, there are 4 holes so that a wood handle can be inserted from any direction. The head is completely hand forged without molding.